So today i want to talk about how to open a lesotho paypal account that send and recieve right here in nigeria. Its no news that for a very long time online entrepreneur have had dificulties doing busines . 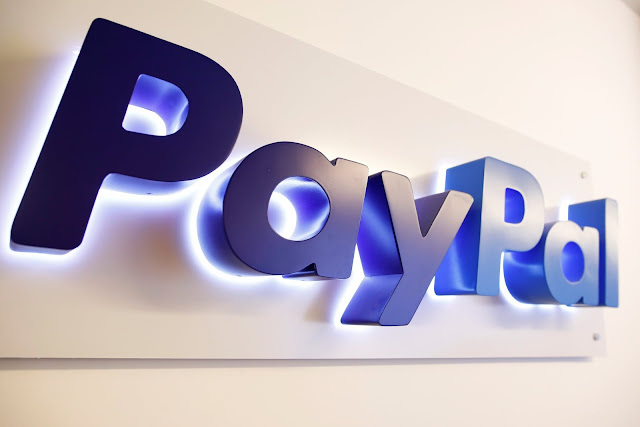 Not untill cryptocurrencies arrived, paypal dominate the online payment ecosystem. as at the time of writing this post in may 2018. This has made online entrepreneurs to look for solution. which include opening foreign paypal with forged documents and vpn. This is going to be a thing of the past because i am about showing you how to open a lesotho paypal that send and recieve with your nigerian documents. without the need to hide your ip. So read the tutorial because i will be going straight to the point. 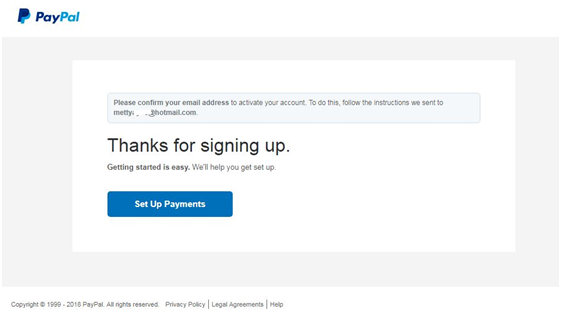 So this is how to open a lesotho paypal account that sends and recieves funds in nigeria. 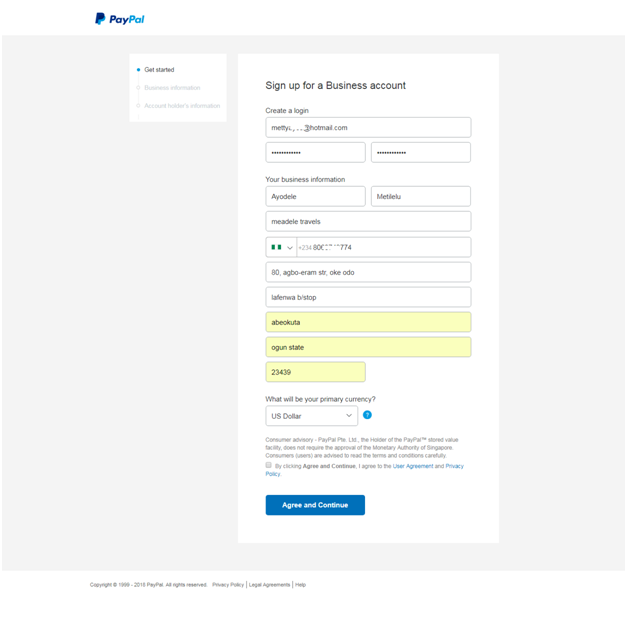 Go to https://www.paypal.com/ls/webapps/mpp/merchant When you do that this is what the page you will see will look like below. When on this page, you are to choose business. Because we are opening a business account and that is the account that has the full paypal feature we need. click on Signup, then select business account on the next page as shown below and then click continue when done. On the next page you are to enter your personal informations, your business informations.. Don’t worry about the business information, but make sure you are using your real name as it is on your documents. On the business information area, where asked for legal names enter your original first name and last name there. For business name you can put any business name you want to use there, it doesn’t matter whether registered or not. in my case I put a name I want but having a regisgtered business name is an added advantage. And the next is to select the currency you want the PayPal to use, in this case select USD and tick I Agree and Continue. 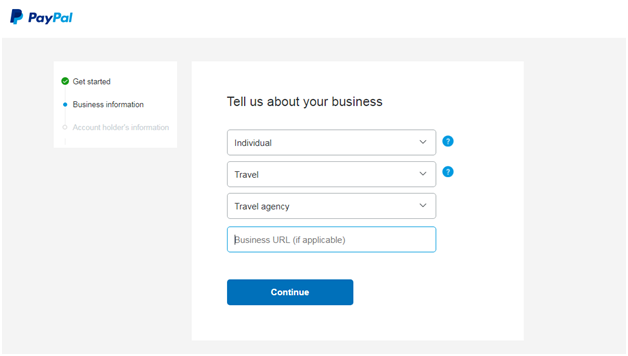 When you do this you will be taken to the next page which is the tell us about your business page, where you will be required to tell them what type of business. Just select individual and then select anything as category and subcategory here and proceed you can omit the url option and leave blank. And then click on continue and you will be taken to account holder information page where you are required to provide an identification document for verification. 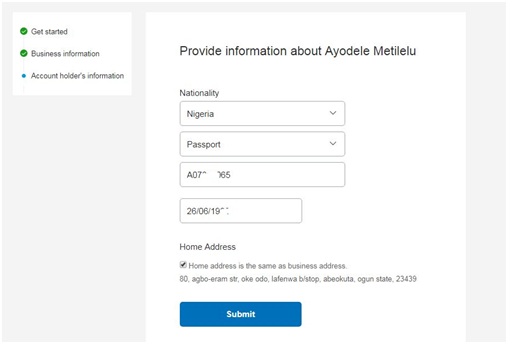 Put in Nigeria as your nationality, select the document you wish to use and enter the corresponding details there, in my case I am using an international passport so I will select that from the dropdown and provide the passport number and my original date of birth as it is on the passport. Since this book is to show you how to open a lesotho paypal account that send and recieve fund in nigeria, so i will not be covering the scope of getbarter.co but you can go to their site to learn how they work,, also not that u can use any other virtual card services and it doesnt have to be getbarter only. So that is it on How To Open A Lesotho Paypal Account . 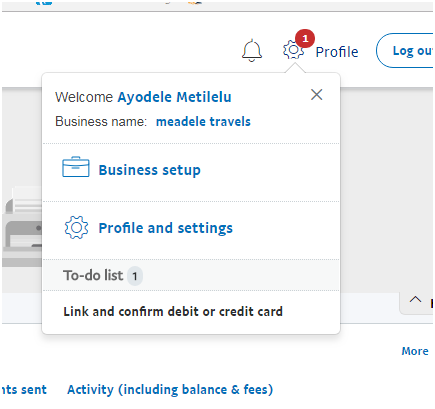 this is how to open a lesotho paypal account that send and recieve fund in nigeria., next is some important things to note while operating this account and things you need to be careful of. When you have issue with your account you should call paypal on this number 1-402-935-2050 with the number you used when registering the paypal account and it will be resolved asap. I notice visa card work well than MasterCard but I use a MasterCard though and you can use same even though I use a dollar MasterCard. 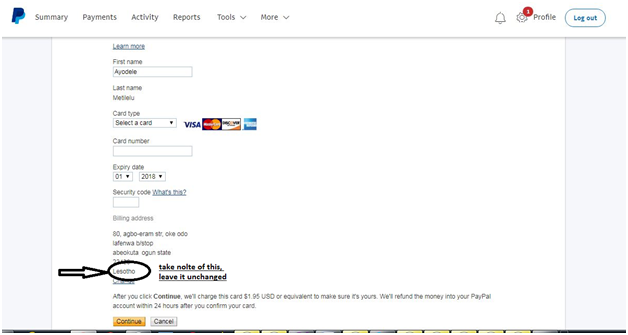 Avoid using your paypal to checkout on sites online, especially sites like ebay and the rest. Avoid using your paypal for dubious activity or illegal activity because you may loss your account and fund when you least expected.